Grizzly bears once roamed across California for centuries -- from the state's mountains to its valleys and beaches. 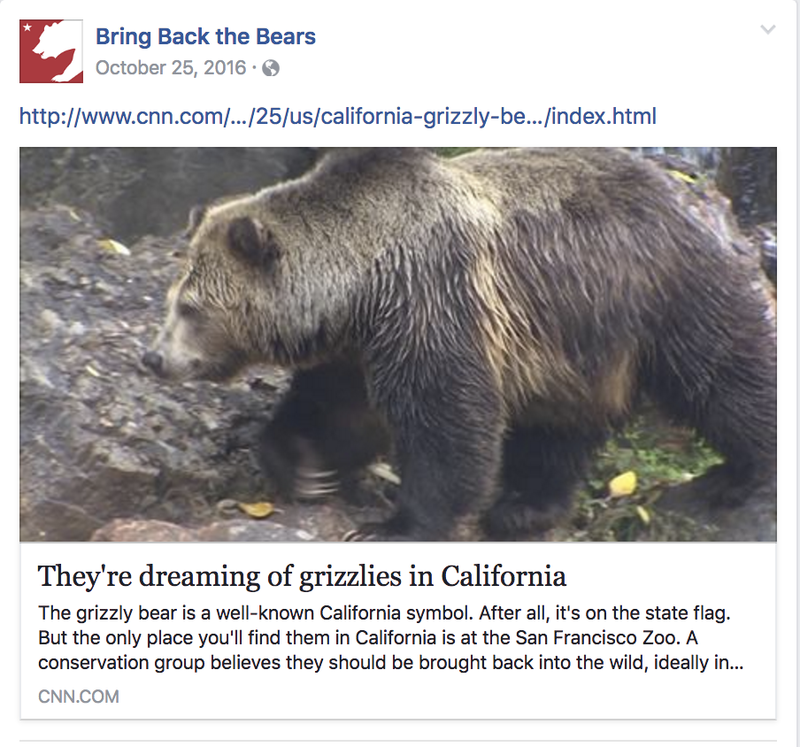 But decades of persecution drove them off the landscape, and the last grizzly in California was tragically shot in 1924. 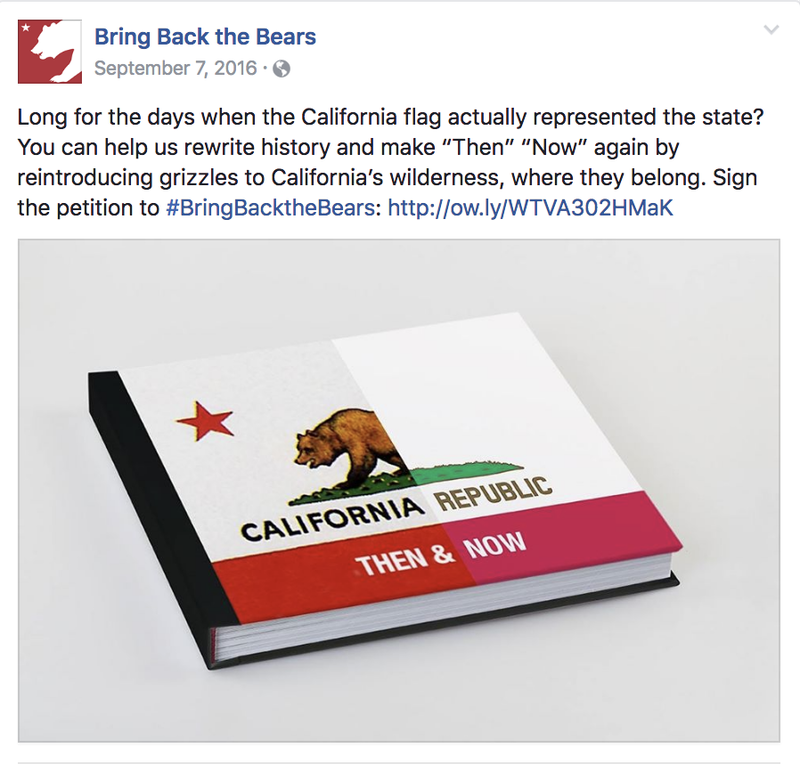 We partnered with the Center for Biological Diversity to create a campaign that not only educated Californians on the importance of local conservation, but also drove participants to sign the petition to the California Fish and Game Commission for the re-instatement of the Grizzly bear to Norther California wilderness, where they belong. First, we shot a series of four videos with stereotypical California Archetypes stating their case as to why they deserve to be on the California flag. The spots were directed by Steve Mapp and Tool of North America with editorial help from Beast. We then created our central hub on Facebook to house the videos and to serve as a platform for content creation. We used a simple graphic design principle to illustrate the absence of the Grizzly. Once we had traction, we began uploading fun pieces of social messaging to educate people on this epidemic and spread the word.